Meditation is the ancient art of contemplative concentration, knowledge, reflection and relaxation for personal salvation and liberation. 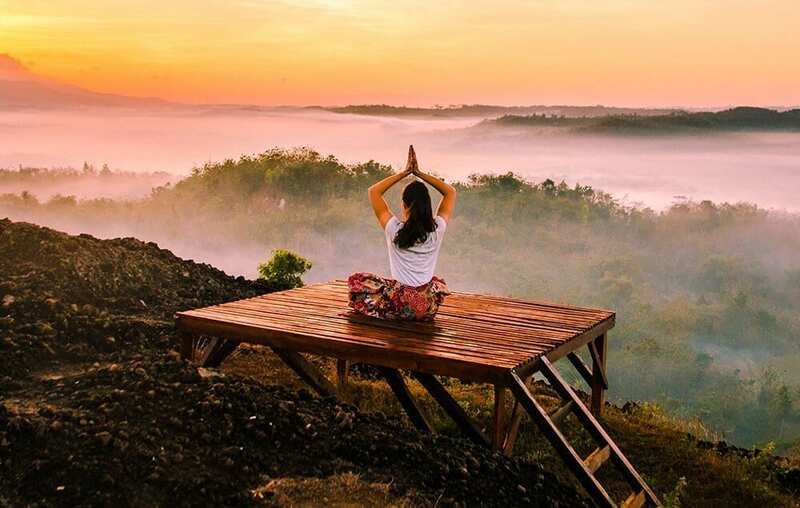 The reason to meditate as a modern life ritual is to lead you towards self-improvement, as it teaches you to become more present and more aware. It will guide you on how to appreciate the blessings in your life and how to find the space in your heart and mind for love and kindness. Mindfulness, being grateful, being giving, and really living in the moment are all possible following regular meditation. You may also find yourself more patient, more relaxed and open, more understanding of others and yourself, able to recognise your faults and discover a new balance and peace within yourself. The benefits of regular meditation are proving to relieve the pressures of modern life to such an an extent that the practice has become mainstream with people making space for it within their daily routine. Schools are offering it as common practice, it is used as a therapy for children with difficulties, as well as anyone suffering with a variety of ailments such as insomnia, depression, anxiety, stress, etc. One of the best parts is that it is totally natural and free, you need no equipment, just time and a quiet space (or noise blockage if that isn’t a possibility) and the worst possible outcome of trying meditation is that you got to spend some quiet time resting! Sounds simple, right? Well, if you’re interested in practicing meditation, which I deeply recommend, you may find that, if you’re just starting out, it isn’t the easiest of things to accomplish alone without any guidance. The first time I sat down to attempt it I just sat quietly, eyes closed, in a semi-lotus position (this is not essential by the way) and found myself thinking about what I would make the children for dinner that night, how long it had been since I called my mum, whether that book I’ve been meaning to write is actually going to be any good…you get the picture. After ten minutes of just sitting there thinking I realised I had no idea how to meditate or what to do to achieve a meditative state. This made me feel a little lost and disheartened by the whole thing, so, to avoid being demotivated, I began to ask around and researched into guided meditation. When people first get into meditation it can bring up some questions. Am I doing this right? Why can’t I switch off my thoughts? Why do I keep falling asleep? Why do I keep feeling unhappy, or angry and frustrated during a session? Meditation can cause deep emotions to rise to the surface and so releasing these feelings is a good thing. If the feelings are frustration from trying to actually meditate then this is also common; it can be difficult to find your way. Don’t get downhearted, realise this is normal and try to allow it, it will soon pass. Guided meditation is a great way to get yourself started on a path that you may want to eventually continue alone. There are plenty of online resources to give you a smooth introduction to meditation, obviously we are all unique and so you would need to find one which suits you as an individual – some people prefer to hear someone speaking throughout, some prefer a female voice, others prefer music, some prefer tweeting birds or waves crashing, whatever your preference, there is a guided meditation out there for you. Here is a list of resources I found to be useful, they are relatively generic and therefore designed to suit a wide range of people. As you advance you will fine tune your own meditative path and may eventually be able to go it alone. Until then have a look into the following guided meditation resources and see how you go. Try a few free meditation apps to begin with until you know what you are looking for and then you may want to sign up to one that fits your personal requirements. The Chopra Center – Hosted by Deepak Chopra, this online centre for health and wellness offers 21 day meditation courses alongside Oprah Winfrey – which, at first I thought that this was just another Oprah media opportunity, but actually having tried a few of their courses I have come to really appreciate this resource. The courses come in a wide variety of topics, each meditation spaced out daily over 21 days begins with Deepak explaining and delving into the ‘mantra’ of the day, all of which relate to the focus point of the course. His deep yet simple messages manage to relate everything back to anyone’s daily lives so that you can find your relationship with the meditation and what it means to you. It is a timed meditation, twenty minutes per session, with gentle music throughout and a bell that will chime at the end. 21 days is a manageable length of time and enough to get you into your own idea of what meditation can do for you. You can sign up to their app and receive offers etc. but there is a fee for some of their courses. There are free courses from time to time so try and snap one of those up and see where it takes you. The Mindfulness App – offers ‘Meditation for Everyone’, with a wide variety of options to suit all levels and types of meditators, The Mindfulness App is the perfect tool for anyone looking to improve mental health and overall wellbeing. Included you will find: a five-day guided introduction to mindfulness, guided and silent timed sessions from 3 – 30 minutes, reminders and statistics to stay focused on your practice plus a library filled with premium meditations and courses. One of their main premises is that they provide reminders to ensure that their subscribers remember to carve out the time each day for their meditation and keep the practice going. One of the most important parts of meditation is consistency, even if one day it doesn’t go too well, you must continue to practice the next. They have a team of ambassadors who choose to volunteer their experiences, time and social media skills to help spread the health benefits of mindfulness and meditation across the globe. Their mission together is to share our stories and encourage the participation of mindfulness and wellness on a daily basis. Insight Timer – This is a free app designed around meditation and sleep, perfect for those who struggle to rest well, have a busy and stressful schedule, or just want to start meditating for free! Insight timer is one of the few resources that offer continuous free meditation. They claim to be the ‘largest free library of guided meditations on earth and the world’s most loved meditation timer’, having over 15,000 free guided meditations and over 6 million users it is one of the most popular meditation apps going. Having said that, they also have a ‘premium’ feature which costs $5 per month which promises to unlock further additional features. Headspace – The people at Headspace describe meditation as “not about becoming a different person, a new person, or even a better person. It’s about training in awareness and getting a healthy sense of perspective. You’re not trying to turn off your thoughts or feelings. You’re learning to observe them without judgment. And eventually, you may start to better understand them as well’’. At Headspace you can learn the basics for free, they then charge for monthly, annual or family subscriptions if you want to receive the full package. 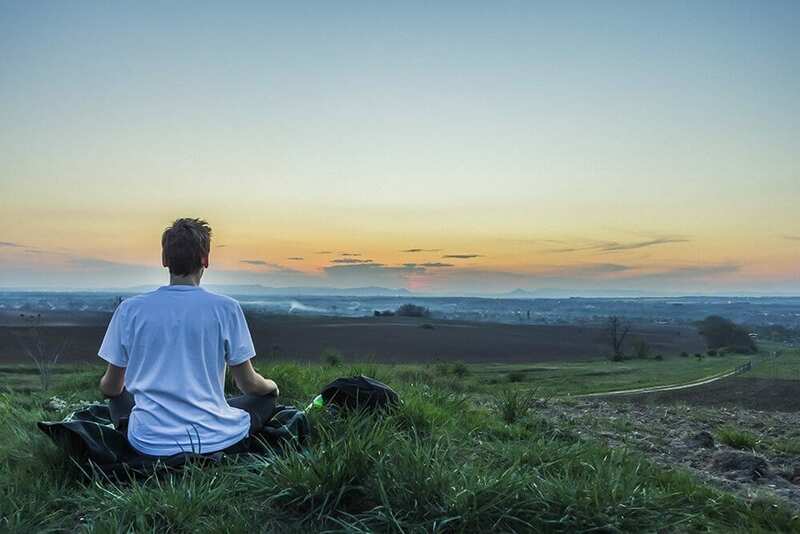 Alongside guidance from experienced former monk, Andy Puddicombe, they have a vast range of meditations to suit everyone, from mini sessions to fit into a busy schedule, to themed mediations focussing on topics such as self-esteem, sleep, stress, etc. Headspace focusses on practicing mindfulness during every day activities such as cooking, work, etc. and offers a daily meditation sent directly to your phone (using the app). They also have activities for children designed to help them practice mindfulness. If this sounds interesting perhaps try the free resources first and see if it suits you. 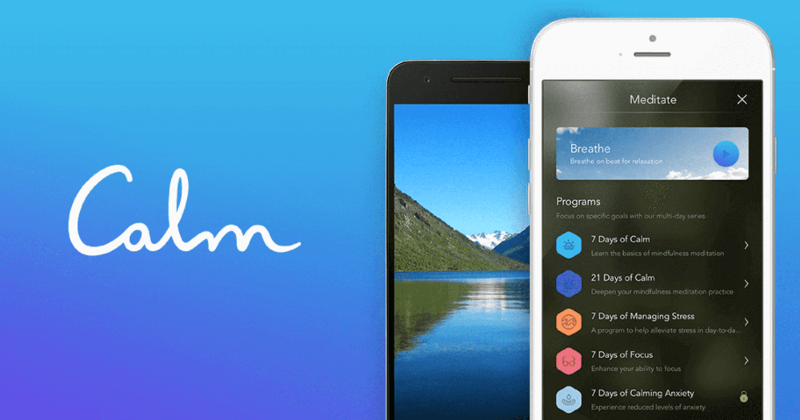 Calm – another site, with app, that offers free meditation but also has a premium option. They claim to be the number one app for meditation and sleep offering to teach the lifelong skill of meditation, help you to get more restful sleep, video lessons on mindful movement and stretching, plus music to help you focus, relax, and sleep. This is a really well designed app, very user-friendly and straightforward with great features. The good thing is that you can try out the free option first to discover if this site is for you before having to sign up to any of their paid features. However I personally don’t like that you have to sign up to pay annually to be able to do so and then cancel it if you decide not to go ahead, but cancellation is simple and you don’t end up getting caught in any traps. There are plenty more where these apps came from, if you haven’t found what you’re looking for from the list above try some other popular meditation apps: MindBody, Breethe, Buddifhy, Smiling Mind, Stop, Breathe & Think, Meditation Timer Pro, Sattva Meditations and Mantras, Simply Being and Omvana. Here at the School of Natural Health Sciences we offer a distance learning diploma course of 11 lessons for those wishing to qualify in Meditation. The course takes the student on a journey through both Eastern and Western meditation techniques; from Chakra Balancing to Walking the Labyrinth. No previous qualifications are required, as this course covers the appropriate basics for those studying this subject for the first time. Our Mindfulness Course (a distance learning diploma course of 8 lessons) is not only a wonderful tool for therapists to have at their fingertips, but a wonderful tool for all of us! Parents, children, siblings, friends, colleagues and therapists can all benefit from what this course offers. Visit our A-Z listing of Holistic Therapy Courses, we have over 60 to choose from!